Selfie sticks? Pah! They're sooooo last year, baby. These days if you want to take a banging selfie of you and your friends, you use a drone, bruv. But, as drones tend to be a bit big and awkward to carry around, what are you going to do if you want to travel light? Easy - simply back the AirSelfie on Kickstarter. 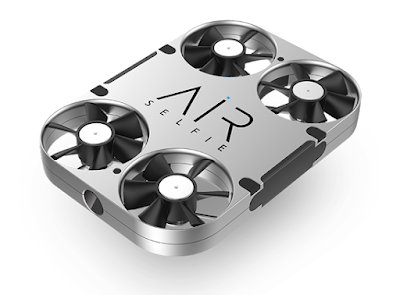 This innovative little drone features a 5MP camera and can be controlled via a smartphone app. Nothing new there, but AirSelfie can also slide into a special phone case, so it'll always be right there in your pocket. 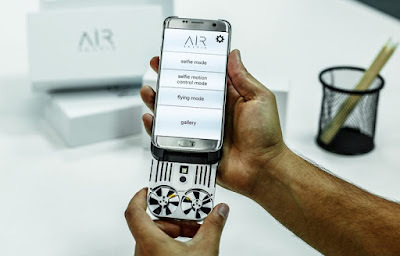 It features a range of around 20 metres (better than any selfie stick we've ever seen) and a delayed photo mode so you can quickly hide your phone before it snaps the image.